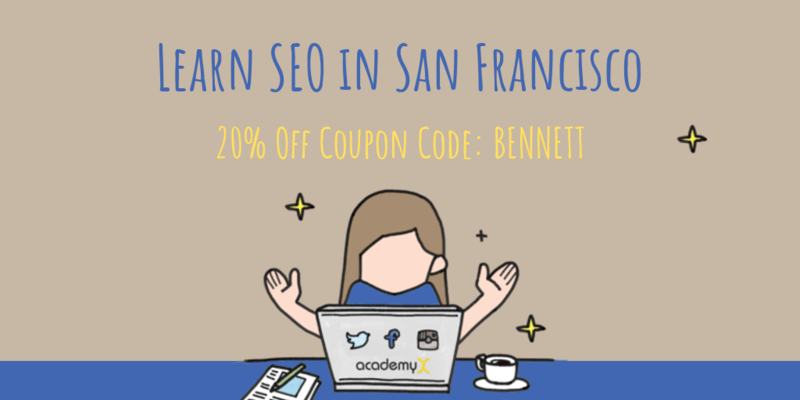 next Monday and Tuesday in San Francisco I’m teaching SEO Fundamentals for AcademyX. If you’re unfamiliar with SEO, it is the science of getting discovered in search results. Better known as getting to page one of google. What do people search for to find you? This class will not only teach you the fundamentals of search engine optimization, the course is structured to help you think about your content marketing plan.